After you create an organization and configure settings and policies, you can specify an email server for outbound emails. The email server is used to send account invitation emails, reset password emails, alerts, and share emails. In addition to Gmail, Yahoo, and other related services, you can also integrate with Microsoft Exchange. For more information on email servers, please reference the How to Specify an Email Server Knowledgebase article. In Exchange, create a new Receive Connector. 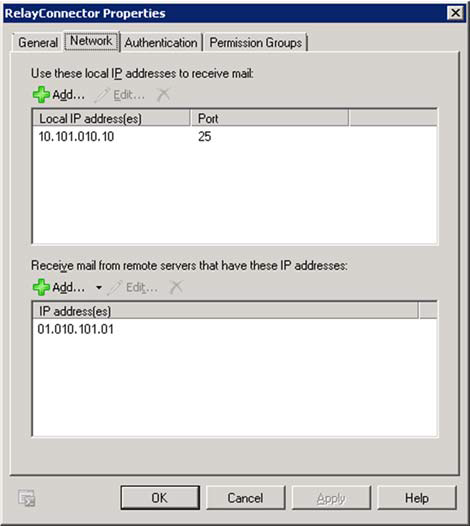 For instructions, please reference the Create an SMTP Receive Connector TechNet article. When this is complete, you will configure properties for the new connector. 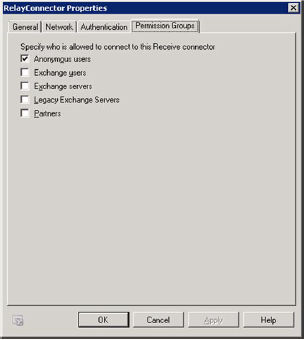 In the Network tab, specify the local IP address and port of your Exchange server and the remote IP of your Anchor server. In the Authentication tab, select TLS Authentication and Basic Authentication. In the Permission tab, click the Anonymous users checkbox. While in the appropriate organization, click the Settings tab. The Organization Settings page displays, showing the General tab. Point to the Email tab and select Servers. The Email Server Settings section displays. 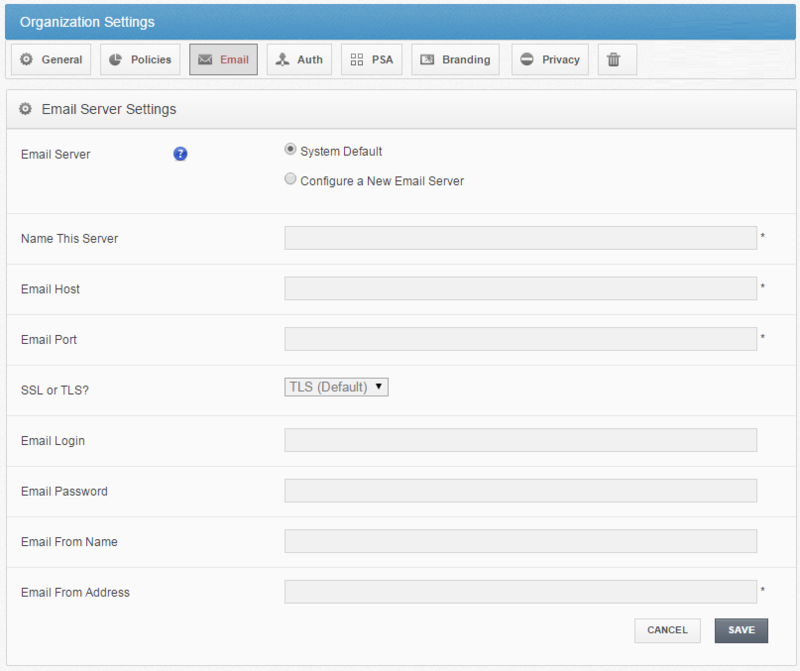 In the Email Server Settings section, set email server settings specific to your selected email server. In the Email Server area, click the Configure a New Email Server radio button. In the Name This Server field, provide a title for the server. In the Email Host field, enter the name of the server (for example, mail.anchortestbox.com). In the Email Port field, enter the email port of the server (for example, 25). In the SSL or TLS field, select whether you would like to use the TLS (Transport Layer Security) or SSL (Secure Sockets Layer) protocol for data encryption. By default, TLS is selected. In the Email Login field, enter login information for the administrator (for example, anchortestbox\admin). In the Email Password field, enter the password. In the Email From Name field, enter the display name from which you want emails to be sent (for example, Administrator). In the Email From Address field, enter the display email address from which you want emails to be sent.